We find it fascinating how many organizations break or ignore the cardinal rules for connecting with busy Congressional staff and motivating Congressional action on behalf of one’s organization. It sounds like common-sense Lobbying 101, but it turns out most groups want to make advocacy more difficult than it needs to be. Our collective thinking was confirmed recently at an Association of Government Relations Professionals panel on best practices for communicating with Congress more effectively. Research conducted by the non-partisan, non-profit Congressional Management Foundation (CMF) headed by Bradford Fitch was instrumental. On Capitol Hill the answer is almost always “yes.” It becomes the advocate’s job to raise the level of “yes” as high as possible. Many groups do not clearly articulate a call to action as they present their case. It turns out many people just get their itinerary on lobby day and pay no attention to the Committee assignments and jurisdiction of the Members of Congress they are visiting. This is a death knell with overworked Congressional staff who are seeing an average of six groups a day and trying to keep up in a dozen issue areas. It is also offensive to Congressional offices because this basic information is on their websites and in all Congressional directories. Prior to your day on the Hill, mobilize your grassroots efforts to send email , post social media messages, and get your advocates to make calls to congressional offices to give staff and members a preview of the legislative action that you are seeking. Members of Congress and staff should not hear about your issue, cause, or “ask” for the first time during your in-person visit. Set the tone for a congressional meeting in the days leading up to your meeting so that you can speak more confidently about your topic knowing that the staff or members has heard recently from constituents and passionate advocates prior to your arrival. Your iPhone does more than help you text and email. You can also make calls to Congressional decision-makers that allow for more of a connection and a better give-and-take. It is more effective to call sometimes, rather than rely on technology. People are most often swayed by other people, and personal stories greatly enhance the technical aspects of a complex issue. To communicate effectively, advocates must explain their issue and how it impacts real people. Storytelling and anecdotes are the best ways to do this. Lobby day fly-ins bring hoards of people together in packs to approach each office, and members of Congress and Congressional aides have difficulty connecting personally with large groups that are often leaderless. Thin the herd and have a team leader manage the introductions and the dialogue for better results. We all have our kryptonite likes and dislikes, and the more we know about the Members and staff we need to help us, the better the outcome. We encourage you to do your research, pay attention and be a good listener in your advocacy. Find that “golden nugget” that makes an elected official or senior staff person tick and that will open the path to success. Many organizations make their pitch for a project or issue and, when asked, they cannot explain the potential consequences of the Member of Congress supporting their position or project. Members of Congress are more cautious than ever, for good reason, and they need to understand the ramifications in they offer an amendment, cosponsor legislation, appear at your event, etc. The ability to create win-win situations can win the day. It is important that you know your organization’s issue inside-out, but it is more important to know the other side of the story. Members of Congress and their staff need to know all facets of an issue, who supports each side, consequences of inaction or action, and many other details. If you can share these critical elements, it will crystalize the issue and speed up potential support. Staff and members of Congress tell us often that the best lobbyists are those who know and can articulate the other side of an issue as well as their own. Most lobbyists think the best meetings occur when Congress is in session. Not so, said Congressional aides in a CMF survey. They say more quality time is available without the pressure of watching Floor and Committee action. Professional conduct and best manners are noticed and appreciated. Lead with a smile and your best behavior, and go out of your way to treat everyone as if they are a decision-maker (because they are)! When someone in government takes action on your behalf and your organization, please take the time to say thank you. Congressional aides relate that many people fail this simple courtesy and it catches up with them the next time they are in need. Habursky is senior manager of Advocacy and Engagement at the American Diabetes Association and can be reached at jhabusky@diabetes.org. Fulton is director of public affairs and advocacy at the Asher Agency – mikef@asheragency.com or @hillrat1156. Both teach online communications courses for West Virginia University. This semester I am taking IMC641 Social Media and Marketing. It’s an elective and I chose it because social media is something I do at work and I wanted to get a better grasp on things. Let me just say, it’s been a challenge and has definitely made me step out of my comfort zone. Don’t get me wrong, it’s a great class and I’m glad I chose to take it. At the same time, however, it’s making me realize that I don’t have a clue when it comes to social media beyond Facebook. There is a plethora of things I’ve learned this semester but there are a couple things I will definitely be taking away from this class. There is no clear cut answer to the question of quality over quantity. Both are important and play a role in social media advertising. It is clear, however, that one, well placed post can make a huge impact for a company. Marketers need to always be ready, always be thinking and be willing to take chances. Social media platforms are being created all the time. In order to stay in tuned companies need to focus energy on keeping up to date, knowing which platforms are relevant to the target market they are trying to reach. Marketers need to always be researching, learning and growing. Most of all I learned that focusing on social media in my career is not something I really plan to do. While I enjoy the medium and it’s definitely something I will always participate in, there are other aspects of marketing that intrigue and interest me more. Thus, my point that it’s good to take classes based on what you don’t know rather than what you do. Don’t choose classes on topics that you are familiar with or comfortable with. Choose classes that will challenge you, push you to do more research, and dig deeper inside your thought process. There are so many choices that do just that in this program. Don’t be afraid to take that step and challenge not only yourself but others in your class as well! Advancements in technology now allow us to communicate with each other instantly through text messengers, Skype, Face Time, and other platforms. 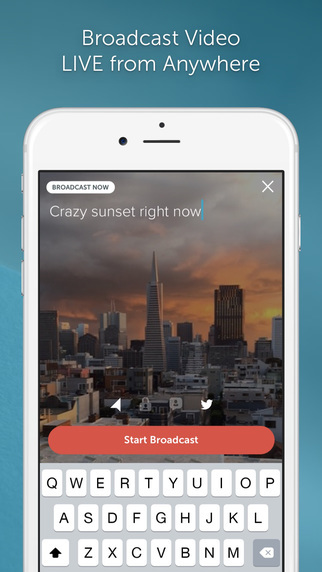 But have you ever wanted to learn more about a brand or receive news about the company from their CEO through live broadcasts on your smartphone? One of the great things about the IMC program is that the program evolves quickly and adapts to new technologies. In one of my elective courses, IMC 628 – Applied Public Relations, I was able to create a crisis communications plan for one of my assignments. Once I learned about the new app, I started thinking about how I could incorporate it into my crisis communications plan. 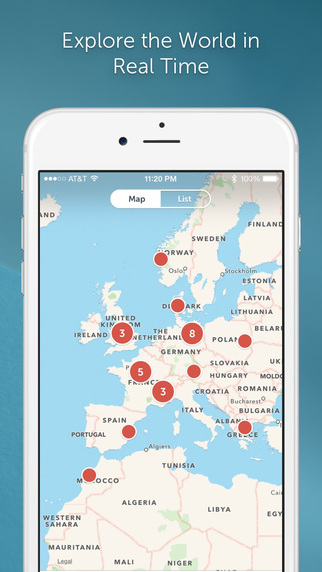 The application is available for free through the Apple App Store and Google Play Store. Many brands have begun to use the application to show the audience what the brand is all about, what they have to offer, and build relationships with their customers. 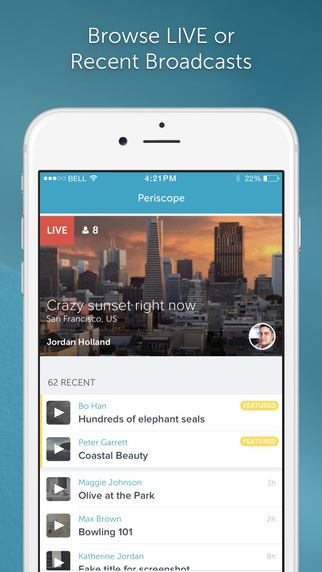 The app would allow someone in the company to respond to questions via live video and would show the audience that the brand is being transparent and genuine. Have you had experiences with the app? 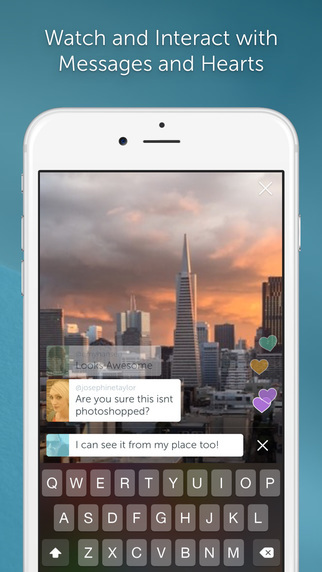 Do you think the app will continue to grow in popularity with brands? As marketers, we need to understand our target customers and where they are headed. Currently, I am reading a very interesting book on this topic. 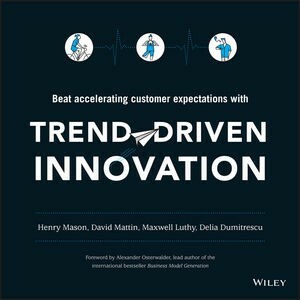 The book, Trend Driven Innovation by Henry Mason, David Mattin, Maxwell Luthy, and Delia Dumitrescu, tackles this topic. In this book, the authors argue something a little counterintuitive. They claim that to find out where consumers are headed, we need to focus on businesses first and then on consumers second, because businesses are the ones redefining consumers’ expectations. Businesses are fueling what the authors call “The Expectation Economy.” This is an economy where customers’ expectations are constantly increasing. Customers expect businesses 1) to provide high quality products and services, 2) to have a positive impact on the environment and community, and 3) to aid in consumers’ personal expression. 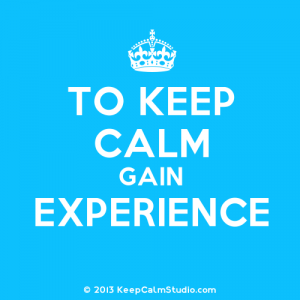 However, despite trying to meet these expectations, many businesses and brands never seem to be able to completely please these ever-accelerating customer expectations. The bar keeps getting set higher and higher, and today’s best isn’t good enough. This puts brands and businesses at a disadvantage, because the consumers hold the power in this “Expectation Economy.” Many businesses are always trying to play catch up. However, by understanding consumer needs, wants, and trends (a consumer-centered culture) and by giving a business the freedom to take leaps and risks (innovation focused), a business can thrive and lead the way. In other words, don’t be a consumer-led culture, where you are too reactive. Customers are still very important (don’t get me wrong), but business innovation should be looked at closely as well because that’s what is helping to set trends and shape consumers’ wants and needs. While I have not finished the book yet, so far it presents a very interesting perspective on customers, businesses, and trends. I highly recommend the book. You are currently browsing the WVU IMC Blog blog archives for October, 2015.